Boiler Cover provides emergency repairs to your main boiler if you're without heating or hot water. Included as part of Home Emergency Cover, get up to £1,000 of cover per incident, with no claims limit and no excess to pay, for just £91.25 a year. Emergency repairs if your boiler breaks down. Included as standard in Home Emergency Cover and all for just £91.25 a year, get cover for your boiler, regardless of age. There's no excess per claim, meaning you won't have to pay any extra if you have to make a claim. There are no age restrictions on your boiler, and all types, excluding solar-powered heating systems, are covered as long as they are maintained. Buy Home Emergency Cover online now to get cover for boiler breakdowns all year round, all for just £91.25. In the case of sudden failure of your main domestic heating system, emergency assistance will be provided by a qualified engineer to carry out repairs to get your system running again. Including blockage, breakage, flooding of or damage to your domestic drains or plumbing system. You'll receive emergency assistance to return your home to a safe and usable condition. If the only toilet accessible to all residents in your home is damaged, either materially or mechanically and to an extent which leaves it unusable, emergency assistance will be provided. If your roof (all types covered) suffers any damage which has or is likely to cause internal damage to your home then an approved contractor will be on hand to provide emergency repairs. If damage to your external windows, locks or doors compromises the security of your home, a tradesman will attend your home to provide emergency repairs and make your home safe and secure. Emergency assistance is available in the event of sudden failure of your domestic power supply. This covers both electricity and gas within the home but not the mains supply to the home. If your home remains uninhabitable after a domestic incident which falls under this policy, you'll receive up to £250 towards the cost of overnight emergency accommodation in a suitable hotel. You'll be covered in the event of loss of the only available set of keys to your home. This is if you cannot gain normal access to your home or if a replacement set is unavailable. Sudden infestation of your home by pests - including wasps, rats and hornets - is covered by this policy. Note that this excludes any protected species, such as bees or bats. Cover for your main central heating system is included as standard in Home Emergency Cover. A boiler service is not included, but emergency assistance in the case of sudden failure of your main heating system is available day and night and all year round. We also cover all types of boiler, excluding solar-powered heating systems. See our quick guide to boiler types. Emergency callouts for boiler breakdowns can be expensive, but this insurance will save you both time and money. With a 24/7 helpline available, you'll have the peace of mind knowing that a qualified and reliable heating engineer is just a phone call away. What makes ours the best Boiler Cover? This home emergency assistance policy is designed to make your home safe and secure, and repairs carried out will aim to prevent further inconvenience to you and damage to your home. When it comes to boiler breakdowns, our serrvice will relieve unreasonable discomfort if you experience sudden failure of your main central heating system. For all home emergencies, we provide up to £1,000 per claim, and there's no limit to how many claims you can make throughout the year for separate incidents. Access to a 24/7 helpline means that assistance is available when you need it most, and you won't have to pay for expensive emergency call-outs - we can cover your boiler breakdown and much more in one affordable annual policy. Click here to find out what this policy does not cover. Cover for your main central heating system is included as standard in Home Emergency Cover. This insurance policy covers a wide range of emergencies around the home, such as roof damage, blocked drains, damage to doors or windows, lost keys and failure of your power supply. 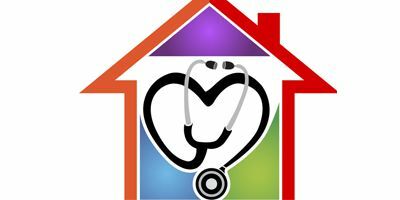 This emergency assistance insurance will even provide overnight hotel acccommodation if your home is left uninhabitable after an incident. Find out the full range of benefits of Home Emergency Cover. We hope that we've answered all your questions here, but if you happen to have a further query then check out our Home Emergency FAQs page, answering all your most commonly-asked questions. If you still can't find what you're looking for then please Contact Us; we're always happy to help. Our cover requires that you keep your boiler in good condition and that you do your best to prevent anything that may cause a claim. 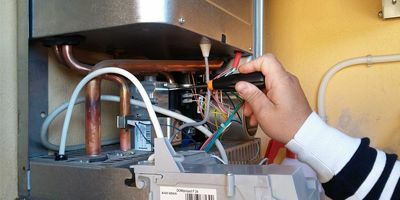 For example, if your boiler has been having trouble for a period of time but is still working then it is your responsibility to see that it is serviced. We do not provide a service with our Home Emergency Cover - our cover is designed to address the sudden failure of your main heating system and not general maintenance.